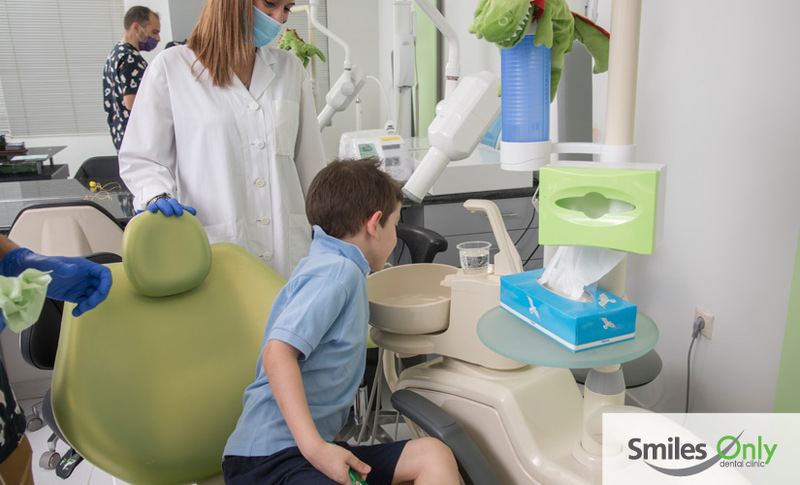 The first visit is the most important in terms of the experience your child will get in the dental environment. Oral hygiene instructions and advice on eating habits. Discussion with parents on diagnosis and treatment and selection of the appropriate method of coping with the child’s behavior. 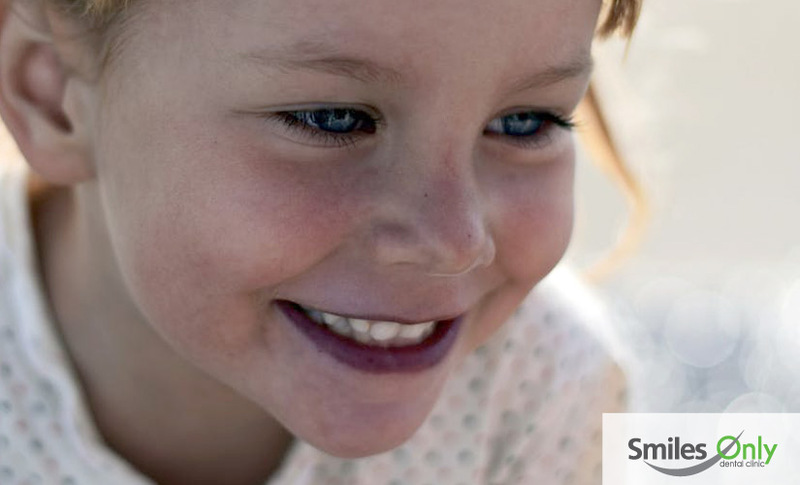 The ultimate goal is either to establish from the beginning a positive attitude towards dental treatment, or to transform an already negative behavior of the child into a positive one. 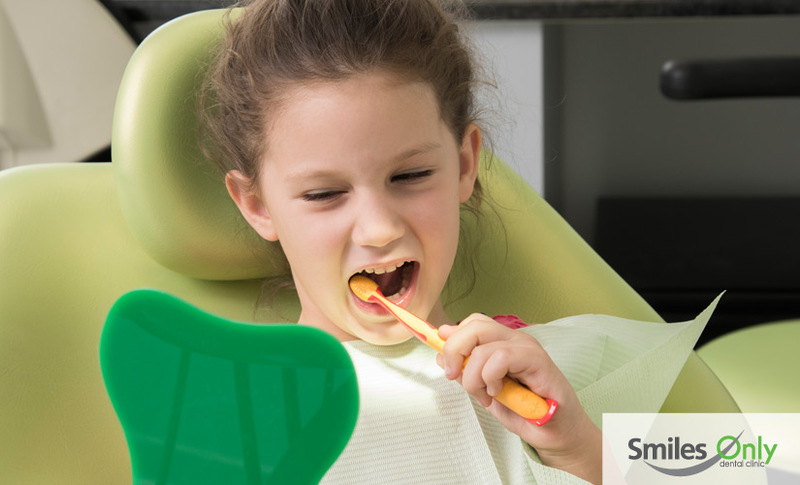 The goal is to formulate oral hygiene habits as well as eating habits that will accompany the child throughout his/her so as to protect it from oral diseases from childhood to adulthood. 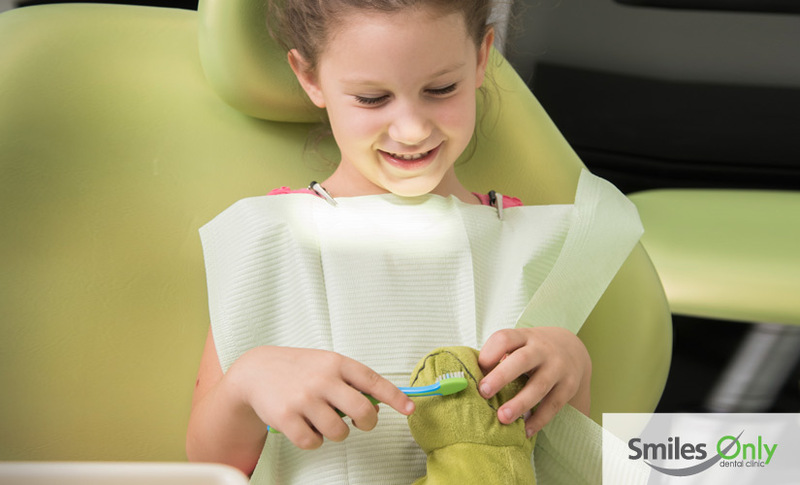 Using ultrasound technology and hand tools when needed, cleaning is a quick and painless process that is important for maintaining oral health, especially in the gums. It should take place every 6 months, and it is accompanied by air-powder polishing, polishing for whitening and shining of our teeth resulting in a sparkling smile. 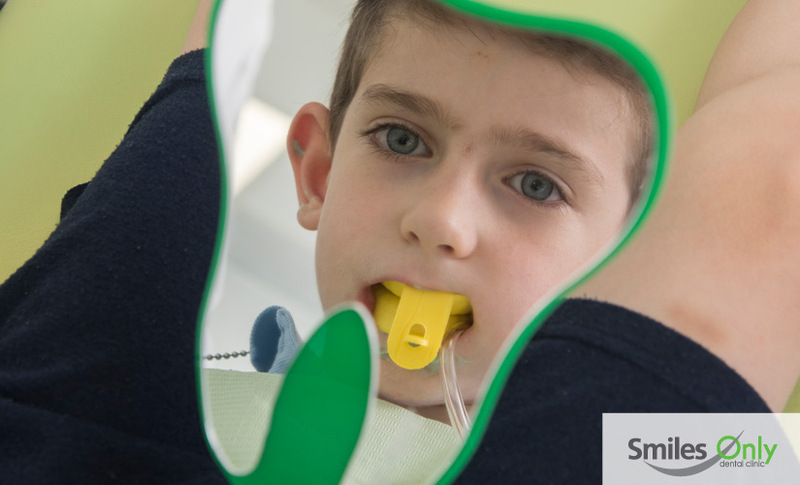 Up to the age of fourteen or thereafter, fluoridation is an simple and essential procedure where a small tray is filled with the fluoride substance and is placed in the patient’s mouth for one minute. 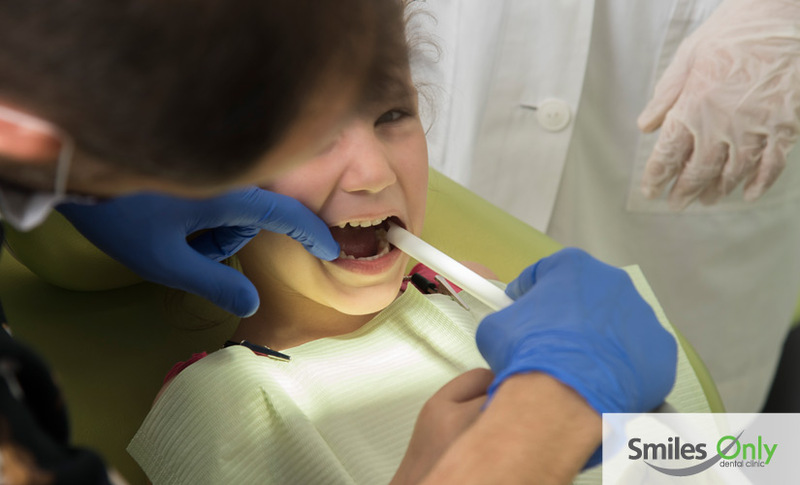 Dental sealing (sealants) is a ductile resinous material that is usually placed on the chewing surface of the back teeth (molars and precursors) and acts as a barrier where caries develop more often. The sealants are placed simply and painlessly. There is neither teeth grinding, nor anesthesia. 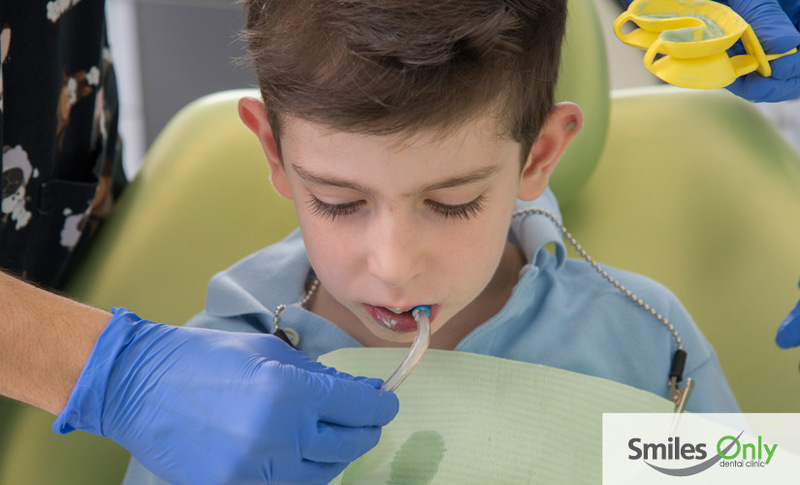 All people who are sensitive to caries benefit from the use of preventive sealants that reach a 100% protection rate combined with the proper tooth brushing and dental cleaning at regular intervals. Because childhood and adolescence are the periods with the most dynamic changes at all levels of development, it is extremely important for the clinician to be able to diagnose in time any deviations from the normal and with the appropriate intervention to prevent the creation of a permanent problem. The healing plan is therefore not only based on the present but also on the changes that are expected in the future. When a tooth has caries, the treatment we usually choose is to place some obstructive material in the cavity created. This process is called filling or sealing and involves complete removal of the caries from the tooth and the placement of a biocompatible dental material. Dental caries in neonatal teeth evolve very quickly, the result is they will reach the tooth’s nerve very fast. Then we say that this tooth needs pulpotomy. If the germs have passed through the pulp (nerves and vessels) we will have to clean them and disinfect the pulp so that we do not have pain and swelling in the future. In permanent teeth, when dental plaque microbes reach the pulp (nerve) then we have intense pain that is not relieved by anything. In this case, the dentist should remove all the nerve from the root of the tooth and block the root canal with a special material. This process in permanent teeth is called denervation. This can happen to children with very deep caries in the posterior teeth or after very strong trauma in the anterior teeth. 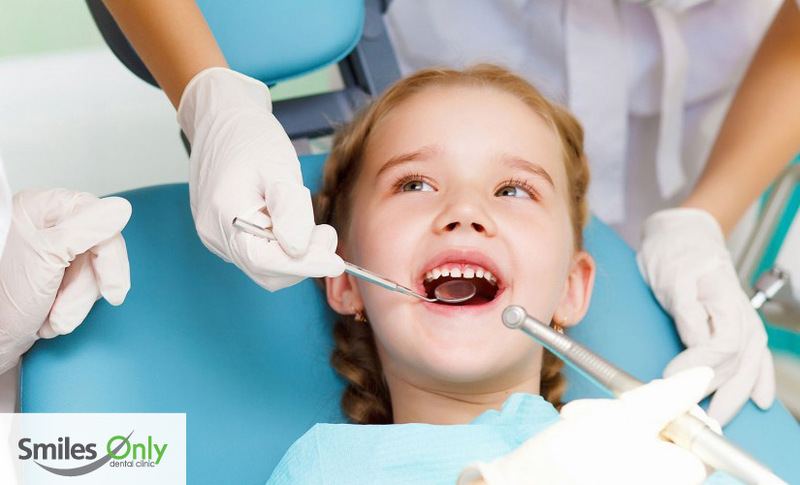 In both cases, parents should contact the dentist immediately in case the child complains of intense pain. If a tooth comes out after a hit, contact your dentist as soon as possible. Tooth replanting has better chances of success when done immediately within half an hour of injury. We do not replant deciduous (neonatal) teeth, but in any case the visit to the dentist is necessary. With dental immobilization, the teeth are joined together so as to be kept in the oral cavity. Also, the teeth are held in the same position after the completion of the orthodontic treatment so as to maintain the therapeutic effect. Permanent immobilization is a specially constructed small wire arc that contacts the inner (upper or lower) surface of the upper or lower anterior teeth and is held in place by a small amount of composite resin. Composite resin is the “white” substance that your dentist uses in the sealing teeth cavities. It is done by applying a mobile retaining device to maintain the orthodontic effect.